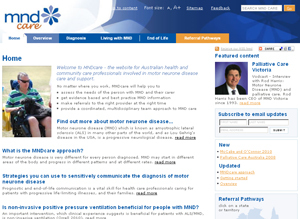 www.mndcare.net.au is a new ‘one-stop shop' website about motor neurone disease for primary, allied, palliative, aged, disability and community care professionals. MNDcare gives access to latest evidence based and best practice MND symptom management and support information as soon as a need arises. 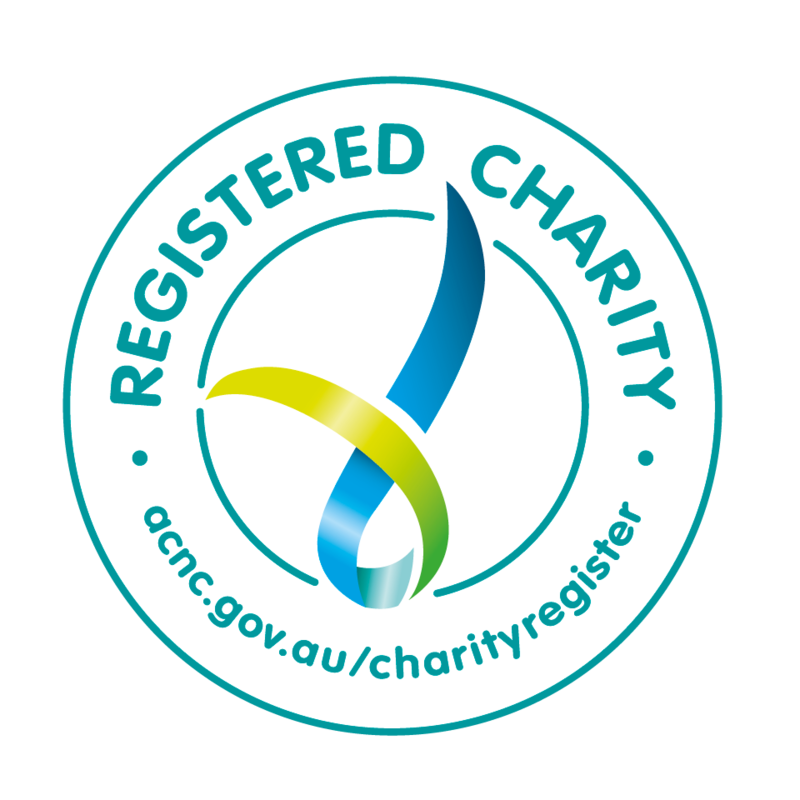 The website includes state specific referral pathways to assist in identifying health professionals and services to meet the identified needs of patients with MND. The aim of the website is to facilitate and promote best practice coordinated, multidisciplinary MND care for all people with a diagnosis of MND in Australia especially in regional, rural and remote areas. Evidence based guidelines and systematic reviews are the primary source of information on the website. These guidelines and reviews provide evidence for timely interventions and referral to improve survival and the quality of life of people living with MND. Each web page provides a quick and easy summary of a symptom or MND related need with links to the source paper or resource. Links to related content, documents and external links provides more in-depth information as required. Research studies have shown that the health and community professionals involved in the care of a person with MND can give better care and advice when they are knowledgeable about motor neurone disease and are supported to provide a coordinated, multi and inter disciplinary team approach to care. You can help people with motor disease live better for longer.